Get Centered: Centering means to calm your mind, your emotions and breathing so you can feel more going on around and inside of you. It is a combination of focused awareness and relaxation. Practice mindfulness to calm your mind and emotions. Focus on being an observer of your thoughts and emotions, rather than reacting. Treat these thoughts and emotions as clouds floating by. Which draw you in and which make you want to run away? Know Your Triggers: “Triggers are very personal and different things trigger different people. We may not have control over our environment, but we do have control over our response to the environment. Pay attention to people, places and things that increase your anxiety. Common responses include but are not limited to increased heart rate, heavy breathing, body tension, change in body temperature, gastrointestinal issues or headache. Click here to download your stress log to track your daily stress levels. What are my clients or loved ones responsible for? What is out of my control? Remember, you can express empathy without feeling exhausted. What signs do you notice physically, mentally or emotionally that you may be mindlessly empathizing? What strategies have you used to ensure you are not burning out from mindlessly empathizing? For more information on conscious empathy, compassion fatigue and burnout; click here to download your free copy of Overcoming Compassion Fatigue: When Helping Hurts. “Winning isn’t everything, it’s the only thing” is a famous quote by the legendary Vince Lombardi that encompasses the historical concept of competition. Most, if not all of us, have probably felt a sense of accomplishment, gained more confidence, momentum and motivation as a result of winning. When discussing the concept of winning, we must remember that winning is short term, but being a winner is long term. It is impossible to become a winner without experiencing loss. Losing often evokes feelings of defeat, failure, shame, embarrassment and sadness. Oftentimes we are devastated by the loss and struggle to see the lesson in the loss. Depending on perception, losing can be humbling or it can become a barrier. Embracing a loss or a failure on any level is a journey, your unique journey that only YOU can experience. In my personal and professional experiences with various losses and failures, I have devised 4 lessons to share that have been helpful in my journey. These lessons are not created to invalidate your experience, but to help you put your losses into perspective and make the decision to get unstuck. Hardships are inevitable and helpful: Life happens on life terms. At times you may find yourself feeling like you are in a boxing match exchanging blows; and then life finally knocks you out. It is not about how hard you get punched or how many times you get knocked out. How many blows can you withstand? How many times can you get back up after taking life’s hardest hit and keep moving forward? Winners take a lot of losses and return to the game of life stronger. Don’t live in your fears: What would you do if you were not afraid of losing or failing? Oftentimes our decision to do or not do something is based on our fears. Whether you are starting a new job, quitting a job to build a business, running a marathon, moving on from an unhealthy relationship; making the decision to not live in such fears will require risk, struggle and sacrifice. This can be a terrifying step for many of us. Ask yourself if the fear in taking this step is more powerful than missing a life-changing opportunity. Life is a marathon, not a sprint: Life comes at you fast and it is imperative that you are equipped with the tools to slow life down. After a loss it may take some time to recover, heal and move on. You are building up the endurance to bear this obstacle and prepare for the next obstacle that gets in your way. Embrace this process and take the time needed to reflect on the lesson in this loss. Remember, it doesn’t matter how slow you go, just don’t stop. I am in charge of me: You are the captain of your ship, the pilot of your plane and the driver of your car. You are ultimately responsible for the direction in which your life will travel. Seeking validation from others invalidates you and often gets in the way of you taking positive action. 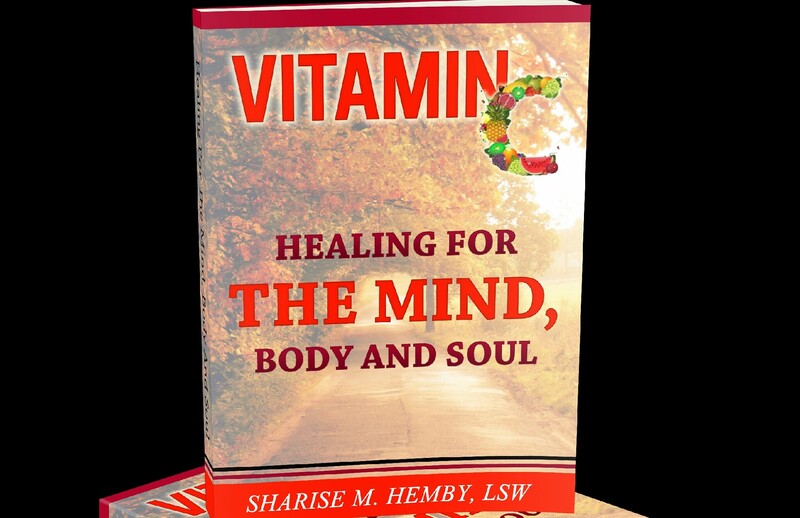 I discuss this concept in depth in my book Vitamin C: Healing for the Mind, Body and Soul. I challenge you to live each day being the best version of you. Remember, you are the CEO of YOU. Life is full of lessons. We are free to make choices, but we are not free from the consequences of those choices. I would love to hear from you. What are some lessons that you have learned as a result of life’s hardships? Also, what makes you a winner?